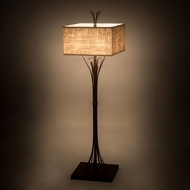 The definition of a Transitional floor lamp is in the eye of the beholder. Not quite traditional, but not yet contemporary, it falls into that grey area that encompasses probably most of American home architecture. 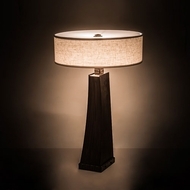 Quoizel, Cherry Tree, Elk, Maxim and Arroyo Craftsman all manufacture transitional floor lamps, and all have that unique quality that they would be at appropriate in most homes in the USA. 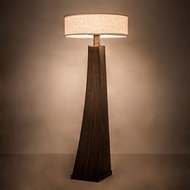 So when in doubt, when it comes to your home d�cor, choose a Transitional Floor lamp to add that need warmth and light for your living room, bedroom, or den.